The women of Bliss County have a pact—to find husbands. The right husbands. One already has: Hadleigh Stevens, who married rancher Tripp Galloway a few months ago. Now Melody Nolan thinks it’s her turn. Melody has recently found success as a jewelry designer, and her work is the focus of her life. She’s not exactly unhappy, but she wants more. 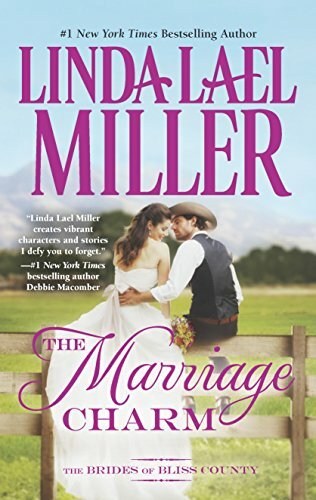 She’s always been attracted to Spence Hogan, the local chief of police, but she’s convinced that Spence, a notorious charmer, isn’t what you’d call husband material. Spence is a good cop who isn’t scared of anything—except love. And he’s done everything he can to preserve his reputation as a womanizer—a reputation that keeps marriage-minded women, including Melody, at bay. And yet…there’s something about Melody he can’t forget. Something his heart can’t ignore.